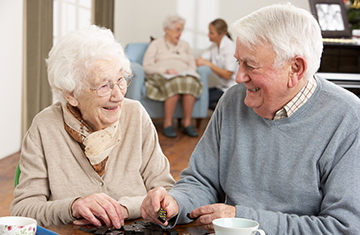 Presentation offers a premier, convenient location for short-term rehabilitation and skilled nursing care as well as traditional long-term care. We offer a newly renovated neighborhood setting nestled in the Oak Square community of Brighton. Presentation is conveniently accessible for the Boston, Brighton, Allston, Newton, Watertown, Brookline communities and beyond. Convenient location in Brighton, MA proudly servicing the Boston area communities with close proximity to area hospitals and the Massachusetts turnpike. To visit our website for more information, please click here.